As a result of informal discussions held at both a meeting of local women’s groups sponsored by Oakville MP Bonnie Brown and at the provincial all-candidates meeting held by CFUW Oakville in 2007, Darla Campbell and Teri Shaw of CFUW Oakville and Bev LeFrancois of Women of Halton Action Movement (WHAM) got together on Jan.14th, 2008 to make plans to bring together women’s groups in Oakville in a loose coalition in order to support one another, to exchange information and to offer a forum for the discussion of ideas and concerns. The first meeting of this roundtable was held Jan. 28th, 2008 at the Town of Oakville City Hall. Its vision – promoting the advancement of women in Halton – and its mandate: to critically analyze issues related to women municipally, regionally, provincially, nationally and internationally with a view to understand the systemic causes of gender inequalities and their manifestations in communities, and to develop social, political, cultural and economic strategies to the address the same. 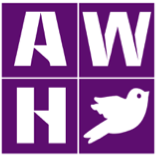 Today Advancement of Women Halton (AWH) is a non-partisan, issue oriented collaborative of more than 25 community groups and social agencies. AWH envisions a world in which all people participate in society as equal members with equal opportunities. Our concerns include democracy, poverty, childcare, violence perpetrated against women, affordable housing, pay equity, diverse and marginalized women, unequal distribution of income and reproductive rights. AWH is dedicated to developing and implementing strategies to make gender equality a reality. It urges all levels of government to apply a gender lens and look at policy from a woman’s point of view. The group uses many avenues to advocate for women’s issues both at home and abroad, by writing letters, meeting with politicians at all levels, creating videos, running workshops and staging demonstrations. Over the years, AWH has tackled local budget issues, long term care housing, the gender wage gap, a living wage and fair taxation, women in politics, missing and murdered indigenous women pushing for an enquiry, gun control, poverty reduction, trade agreements such as the Comprehensive Economic and Trade Agreement (CETA) and Trans-Pacific Partnership (TPP) both of which could have a profound impact on Canadians; supported the GRAN network in sending drugs to Africa to treat HIV/AIDS and malaria among other.